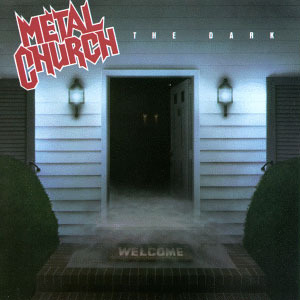 The Dark is the second full length album released by Metal Church. It was also the last album in which the line-up of Wayne, Vanderhoof, Arrington, Wells and Erickson performed, until 1999's Masterpeace album. This album talks of dark themes, such as assassination, death, struggle, and rituals (for example, the lyrics from "Line of Death" were most likely based on Libyan hostilities in the Gulf of Sidra). One song from this album, "Watch the Children Pray", turned into the band's first music video. This album is one of their most critically and commercially successful albums to date. The album was dedicated to the late Cliff Burton of Metallica fame.